Adverts posted to Facebook will simply appear on your Facebook company feed, as long as you have added your company Facebook ID to your idibu account. If you have multiple company pages (for example, sub brands) within your Facebook company account, then you can allocate permission to users to post adverts to one of those feeds. However, if you are using a single company Facebook page, then we have an optional application you can install which creates an additional job feed tab. With this app installed, instead of posting to your company feed, your adverts will be posted into this designated jobs page. 1. Log into your company Facebook account (the one that has your Facebook page set up). 2. 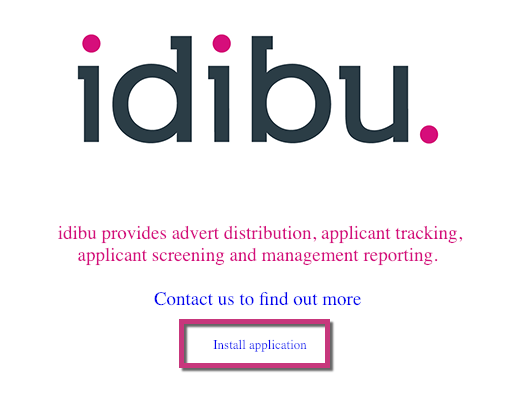 Click this link to open the idibu installation page. 3. Click "Install application" and proceed when the app asks for posting permissions. 6. 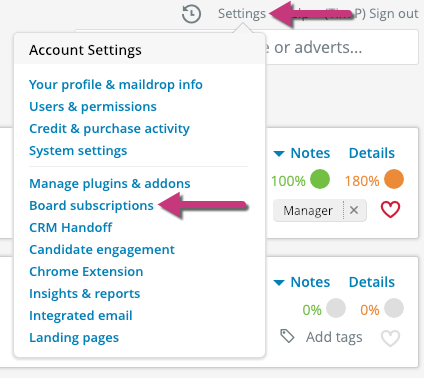 Go to the job board subscriptions area of your idibu account. 8. Where indicated, insert the Facebook page id you copied earlier. 9. Click 'Save board settings' when you are ready. If your business has multiple Company Pages, you can post to those too! All you have to do is make sure that the users you wish to post to these pages are allocated as 'editor' or 'admin' of that Facebook page. In this linked article, we've outlined the setup process for you step-by-step. With the above set properly, during the posting process the end-user will see an option to select and post to any pages they are editor or admin of.